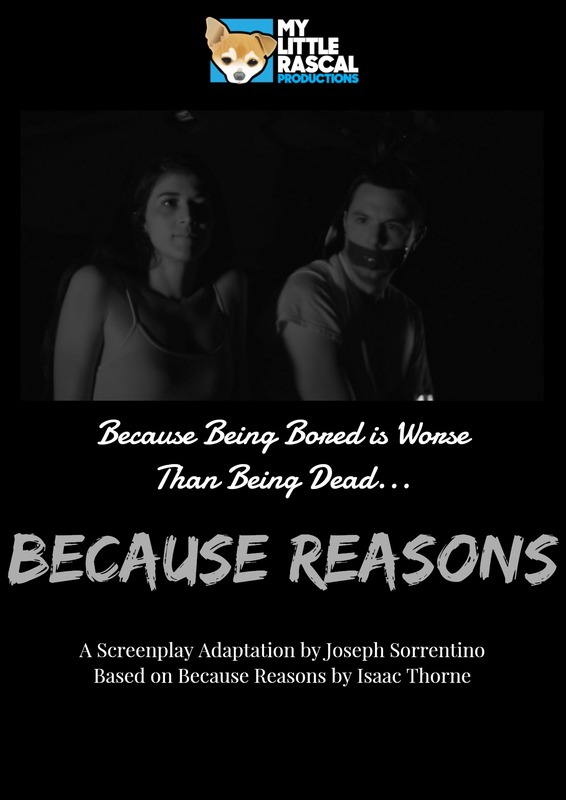 John’s Horror Corner: Because Reasons (2017), Independent Short Film Review. MY CALL: This lower budget short opens splendidly, but then middles and closes with blaring financial weaknesses. However, the good that I saw has piqued my interest. 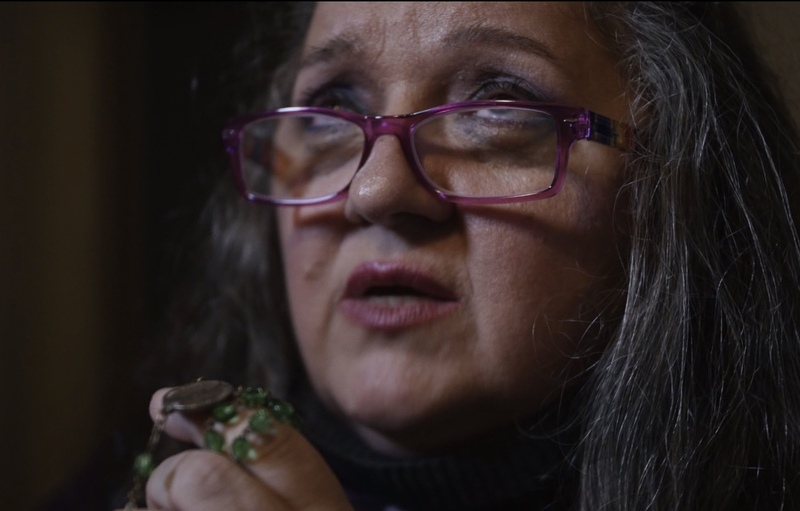 MORE Indie Reviews: Here at MFF we occasionally do horror short film and pre-release indie film reviews on request. Among recent solicited promotions are Love in the Time of Monsters (2014; feature length), Interior (2014; feature length), Smothered (2014; feature length), In the Dark (2015; feature length), Brother (2016; short), Other Halves (2016; feature length), Scythe (2016; short). The Belko Experiment (2016; feature film, mainstream theatrical release), The Barn (2016; feature length), Shallow Waters (2017; short), Burn (2017; short), Tethered (2017; short), We Love Selfies (2017; short), Cool (2017; short), Girls Night (2017; short) and Remnants (2017; short). Director Roger Glass (We Love Selfies) and writers Joseph Sorrentino (We Love Selfies) and Isaac Thorne (Diggum) are all in their second or third year of filmmaking (based on IMDB entries) as they wrapped up Because Reasons on a shoestring budget of $1800. And by my experience, it’s hard to do much with such a small budget. I feel that such early films are best judged as experiments; they demonstrate one’s proficiency in camera management, editing, setting up good shots and pacing scenes for flow. All of those elements were fine, and I’d lend my compliments particularly to the opening shots (during Tiffany’s narration) introducing us to our somewhat rural setting. Moreover, Tiffany’s narration (the first 30-38 sec) sets the stage well to such effect that this felt a lot like the opening of a feature length film. IMDB summary: “Tiffany’s not bad. She’s just bored. Tiffany (Krista West) is an all-American dream. Her mother is a successful lawyer. Her father is a CEO. She has perfect social skills. Her mind is sharp. Her instincts Killer. Unfortunately, Tiffany has a problem. She’s so very bored. She has no idea what she’s going to do with her life. That is, until the night her mother dies right before her eyes. That night Tiffany decides she’s going to go out and have some real fun. Some blood-soaked fun. Fun is powerful and power is legit. Because being bored is worse than being dead. Because reasons.” Here’s the IMDB page. So, Tiffany has discovered a murderous pastime. That’s the idea we’re selling here with the plot, and it’s okay. It’s hard to flesh out such a notion in such a short film. The execution of on-screen murder and some basic gore effects were honestly quite poor—but, understandably, the budget offered little more effects utility than would could get from a trip your the local butcher. But rather than pick at it, I want to focus on the true glimmer and return to those opening shots with Tiffany’s narration. THAT is the scene that got me. The combination of those beautiful tranquil shots, the music, and her contemporized introduction were splendid and I’d love to see that opening expanded to several minutes before introducing us to a feature length Tiffany (who stabs people with a stronger budget). Much as I was impressed by Tethered’s (2017) opening, Because Reasons seems to open with the vision behind the film—or, at least, this is the selling point for me that turns my attention away from the faults of a film realized for under $2000.